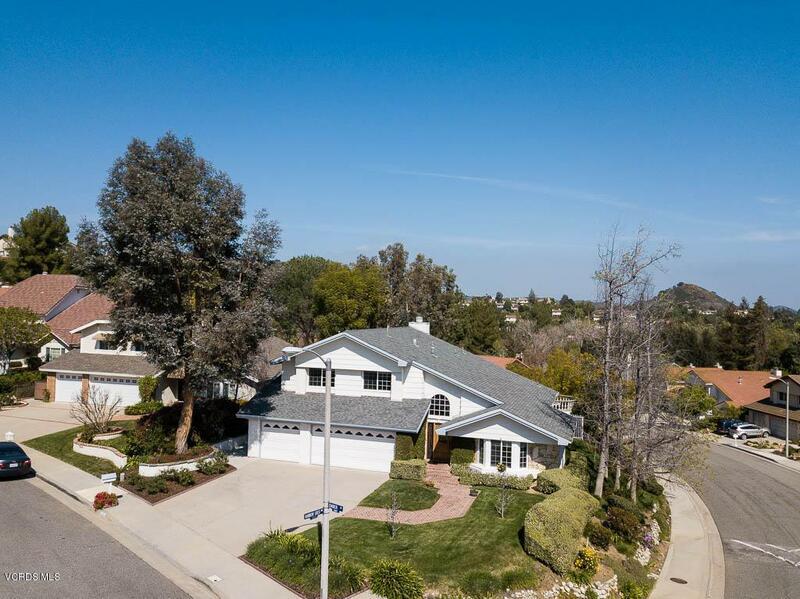 Located in the heart of Agoura Hills with views of the Reyes Adobe Hills community, is this spacious 4 Bedroom 3 Bathroom home! Upon entering this light and bright home, the openness of the floorplan and vaulted ceilings allow ample natural light. Main floor features tile flooring with decorative borders, kitchen with double oven, stainless steel dishwasher and garden window. Downstairs bedroom, and full bathroom. 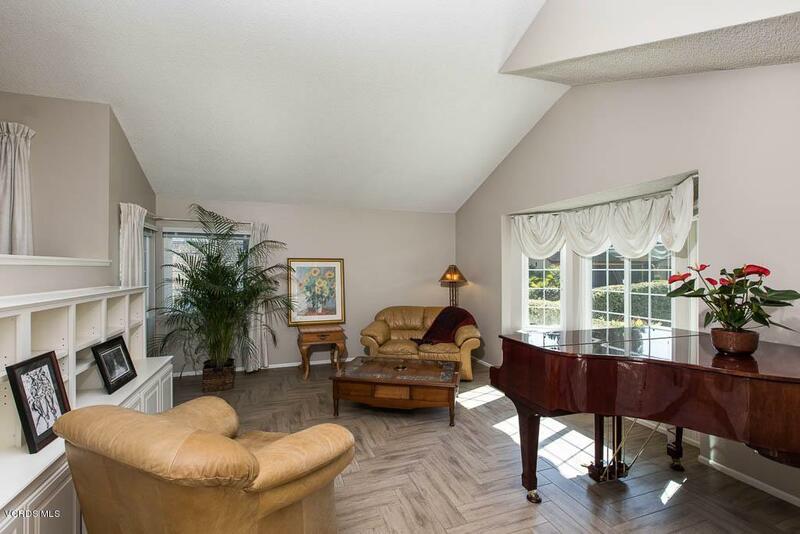 Step down formal living room with sit in window and built in bookcase, formal dining with vaulted ceiling. Family room with wet bar, fireplace with mirrored over mantle, and views. New carpeting upstairs, secondary bedroom with new ceiling fans, closet organizers, and share a bathroom with a dual vanity and shower-tub. Master suite with vaulted ceilings, views, walk-in closet with organizers. Master bathroom updated with granite countered dual vanity, custom cabinetry, tiled and glass enclosed stall shower. The view oriented back yard features a sitting area, raised planter beds, lush foliage and mature trees. The freshly paint, and new carpet and blinds were installed within the past 2 weeks. Close to Reyes Adobe Park & Historical Site, easy access to 101 freeway, the Shoppes at Westlake and Costco! Award winning Las Virgenes School District. 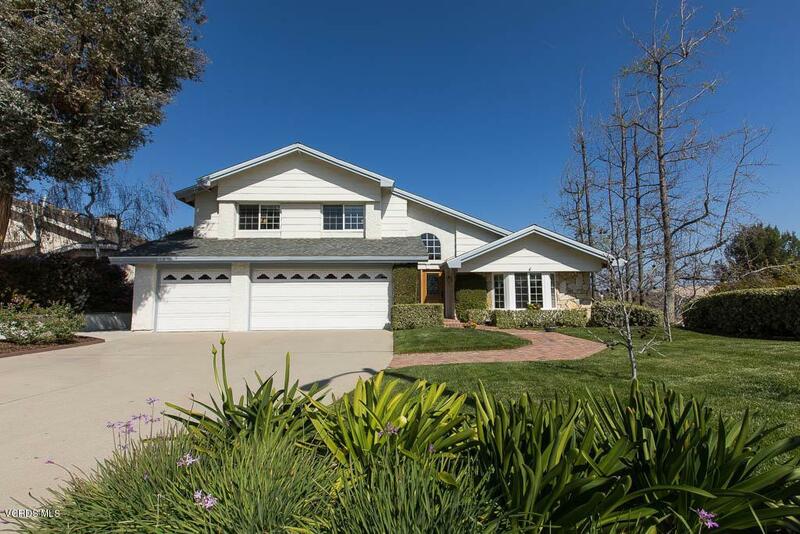 Sold by Brian Palmer BRE# of Re/Max Of Valencia. Inclusions Washer Dryer Refrigerator in Kitchen And Freezer in Garage Water Softener All Without Warranty And No Value To Property. 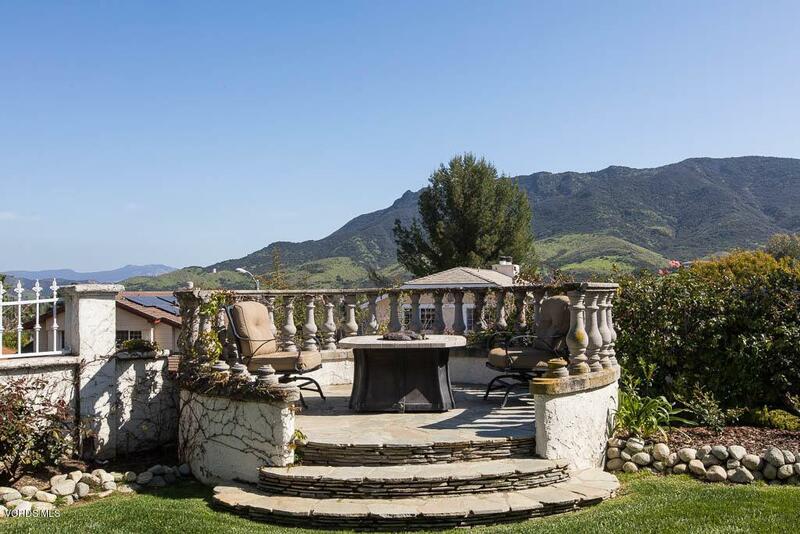 Listing provided courtesy of Unknown Joe And Tim DRE# of Coldwell Banker Residential Brokerage.